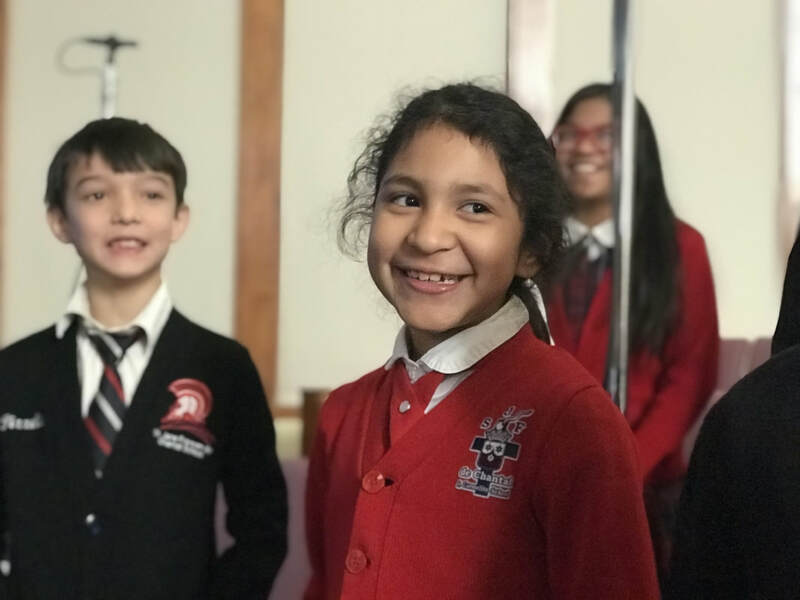 If your child is ONLY going to participate in singing at mass, they DO NOT need to come to rehearsal on Fridays. They DO need to be in the Music Room 1/2 hour before mass time on Fridays and 1 Sunday a month. There is NO registration fee for School Choir. If your child wishes to sing at mass AND have the opportunity to be featured at special school/church functions (like the upcoming carnival event), they NEED to attend Friday rehearsals in the Music Room from 12:45-1:45 PM. They also receive vocal instruction & stage performance techniques. There is a $100 registration fee payable to Mr. Medrano. Should this prove to be a financial hardship simply call Mr. Medrano directly or the office. 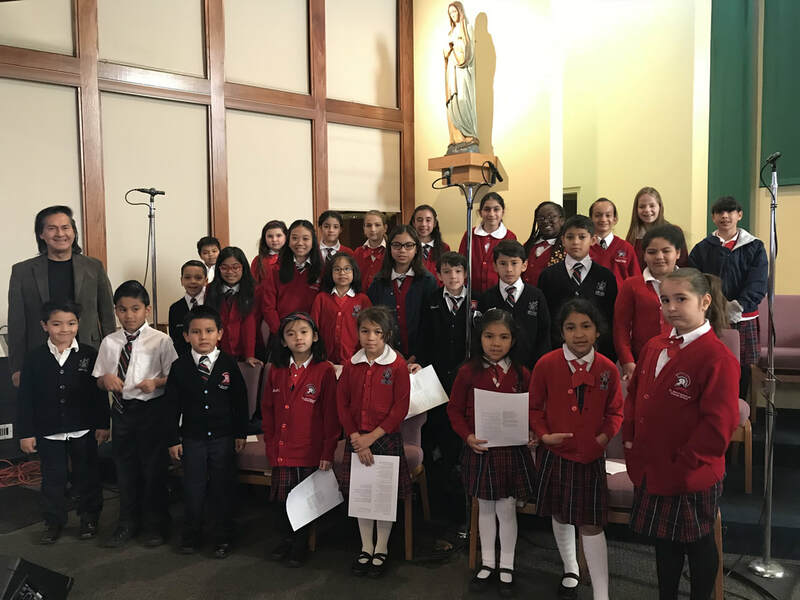 If you join the after school choir (choice #2 above) your child has the option to participate in the City of Angels Children's chorus AT NO ADDITIONAL COST and will have the opportunity to sing at professional venues outside of St Jane Frances Catholic school and church. This chorus performs with an orchestra, some of whom are members of the Los Angeles Philharmonic in a professional concert hall in the Hollywood Hills.